When it comes to plastic injection molding in thermoplastics, there are certain engineering grades that rank among the most popular. That means that a company like Superior Plastics needs to be nimble enough to be able to produce the necessary products correctly and on time for their customers who require such items. Possessing the ability to not only withstand heat by serving as a flame retardant, but also offering tremendous strength when it comes to impact, Polycarbonate is something that works within a number of different capacities. This includes such things as truck cabs and bulletproof windows, while more common items like compact discs, motorcycle helmets and water bottles can also be accommodated. Due to the fact that this is often transparent, the ability to use it for a lens is also possible. Polycarbonate is high up on the prestige level of resins but is something that meshes well with plastic injection molding. Durability would be the key trait for nylon, since it’s able to handle heat that would ordinarily melt other engineering grades. Strength like that is coupled with its ability to withstand plenty of impact and abrasive material, which can include chemicals. 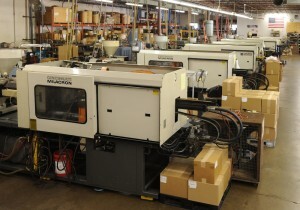 Nylon parts are integral to a number of industries, including medical and auto companies. In addition, footwear and apparel, along with recreation equipment are aided immeasurably by the use of it. Officially known as acrylonitrile-butadiene-styrene, ABS is not only the most popular of thermoplastics around, but also one of the sturdiest that can handle rough and tumble situations. The popularity stems from the fact that it’s also one of the more versatile, in which everyday products make up a good portion of items. ABS is used in things like portable electronics, vehicle bumpers, the trim on automobile interiors and the liners on refrigerator doors. Perhaps one of the best aspects of using this is the low cost involved in producing it, which can help everyone’s bottom line. Superior Plastics has the experience, skill and track record to make sure that their customers receive their orders on time and at a price that works for them. This is possible through the plastic injection molding machines available, so when your thermoplastics needs are focused on engineering grades, contact Superior Plastics.